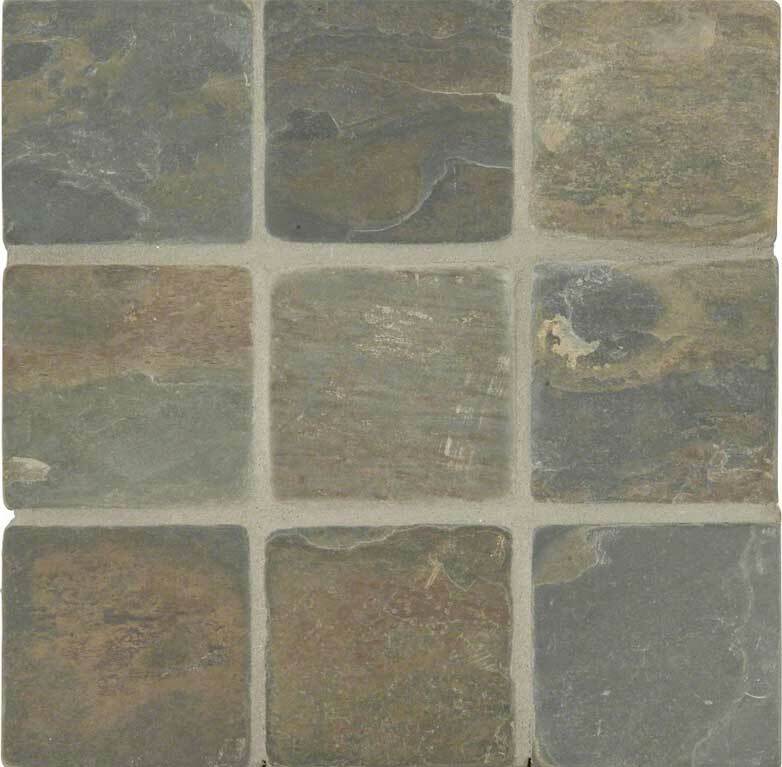 A finish unique to slate compared to other stone types. 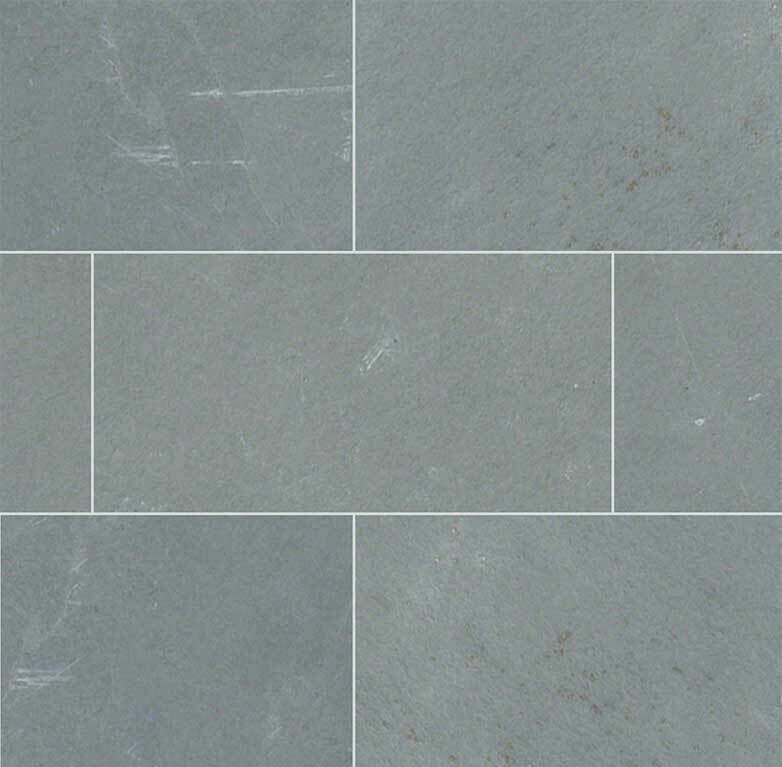 A natural and pleasingly textured surface created when freshly quarried slate is manually split into sheets. The fan of the cleft is unique to slate and starts when the first hit of the chisel started the split. 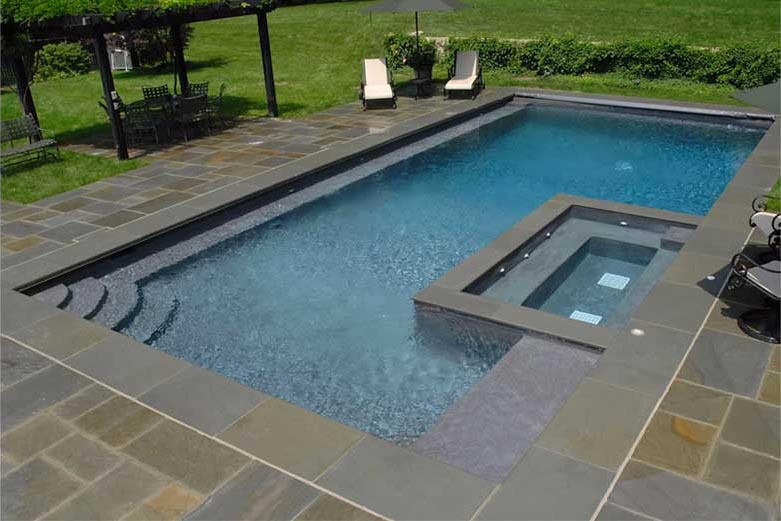 A stone finish achieved by putting the stones in a machin that “tumbles” the stones around together causing an uneven rough surface and edges. The finish has a rustic appeal. A stone finish that gives a smooth, even appearance with a high polished gloss. A stone finish that gives a smooth, even appearance without a high polished gloss. 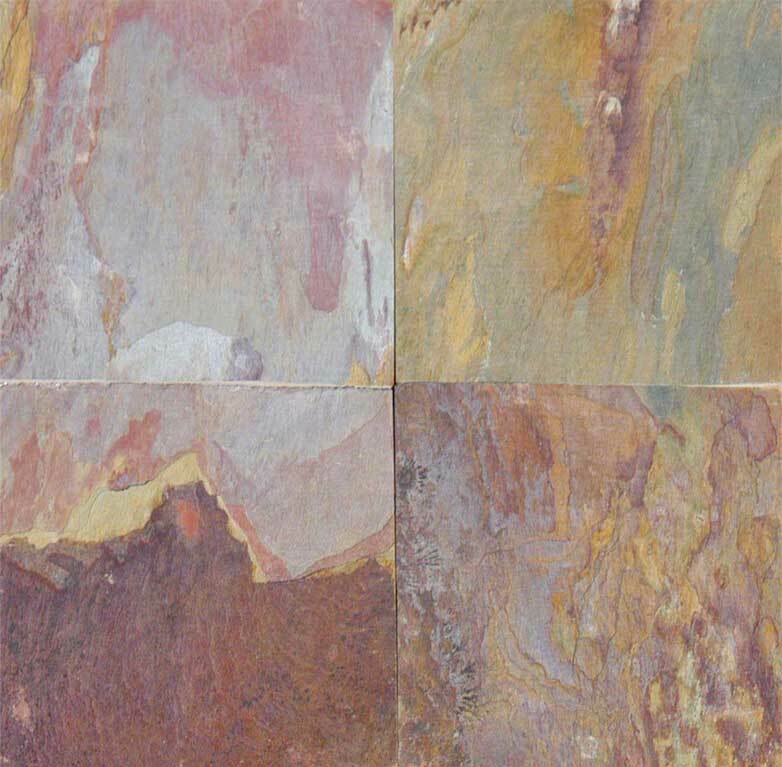 Because slates have high color variation, natural slate tiles from various boxes are laid down to check the distribution of color prior to installation. This ensures an aesthetic consistency in your design. In many climates, the day is warm but night temperatures can drop below freezing. 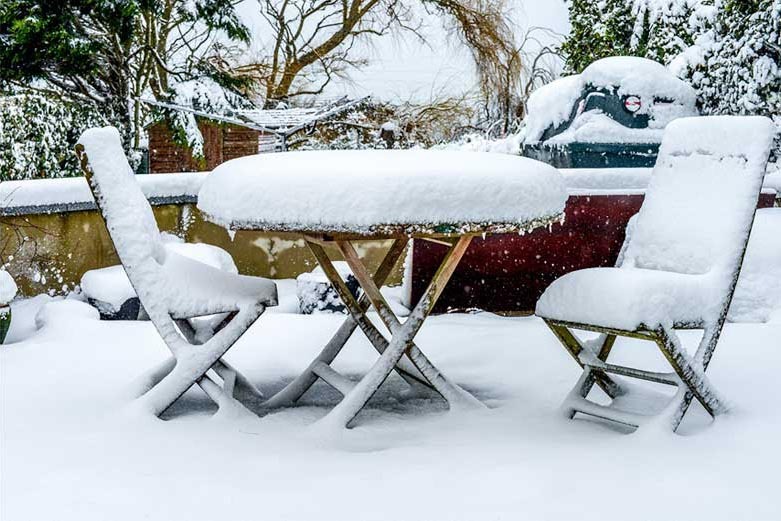 In such climates, snow can melt during the day and water can seep in between layers of slate. Then, when the temperature drops at night, the water expands, opening up the slate layers and deteriorating the slate. 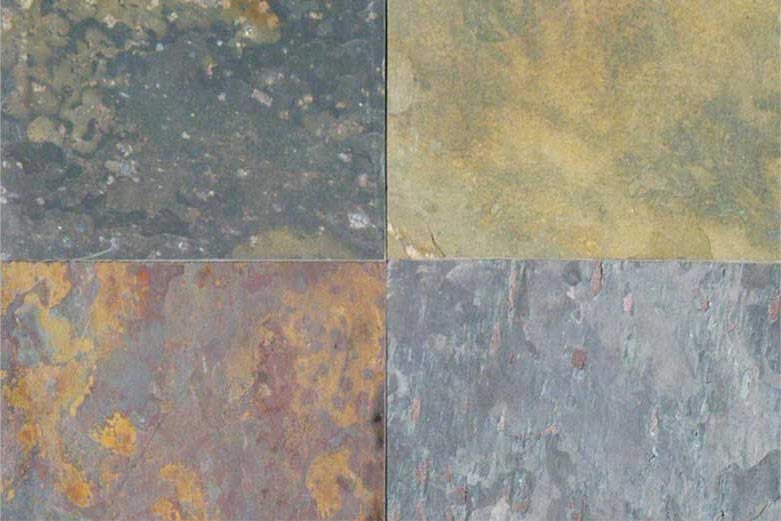 When selecting slate for your outdoor space, keep in mind that not all slates are freeze/thaw resistant. Natural Cleft Material, +/- 1/8 inch. Flat Surface (Hon/Pol) Material, +/- 1/16 inch.